The Delamere & Spirit Hills Magnetic and Radiometric Survey covers two areas in the north-west of the Northern Territory over the Daly and Victoria basins. The westernmost Spirit Hills portion covers approximately 8,500 square km while the more eastern Delamere portion covers over 25,000 square km. The airborne survey acquired magnetic, radiometric (gamma-ray) and elevation data along 400 m spaced lines resulting in over 95,000 line km of new data. Survey acquisition was completed in November 2015 with final data release in March 2016. The Northern Wiso Gravity Survey in northern Australia was acquired from June to August in 2015. The survey covers an area of approximately 80,000 square km and involved almost 5000 helicopter-supported ground gravity stations on a 4 km spaced grid. The data was released 17 October, 2015. The Northern Territory Geological Survey acquired a regional gravity survey over the Victoria Basin in western central Australia in August and September 2015. The survey covered an area of over 99,000 km2 and involved almost 6200 helicopter-supported ground gravity stations on a 4 km spaced grid. With the completion of this survey the CORE initiative has acquired new gravity data over almost 600,000 square km of the Northern Territory. The data was released 10 November, 2015. The Dunmarra geophysical survey is the first airborne magnetic and radiometric survey to be flown under the CORE initiative, and covers an area of approximately 36,280 km2 in central Northern Territory, between Katherine and Tennant Creek. 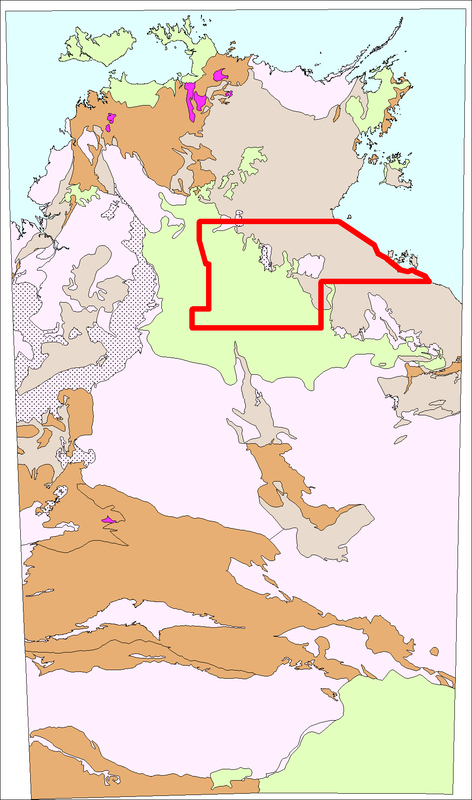 It is located on the south-east margin of the McArthur Basin and encompasses a large portion of the Beetaloo sub-basin. The airborne survey collected magnetic, radiometric (gamma-ray) and elevation data along 400 m spaced lines resulting in over 100,000 line km of new data. 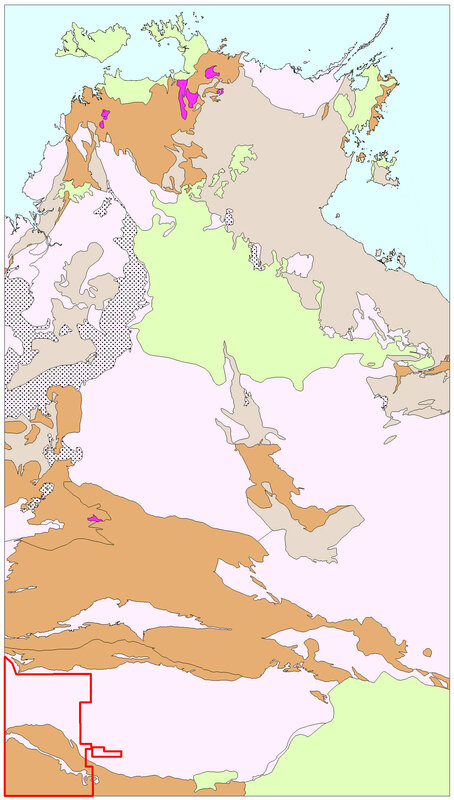 The West Amadeus Basin Gravity Survey completes modern gravity coverage in the south-western region of the Northern Territory and consists 8000 ground gravity stations at station spacing ranging from 4 km to 500 m. The survey area extends from the Western Australia and South Australia borders for approximately 45,050 square km. This is the third gravity acquisition funded under the CORE initiative and includes collaboration with industry for extensive infill over nearly 50% of the survey area. 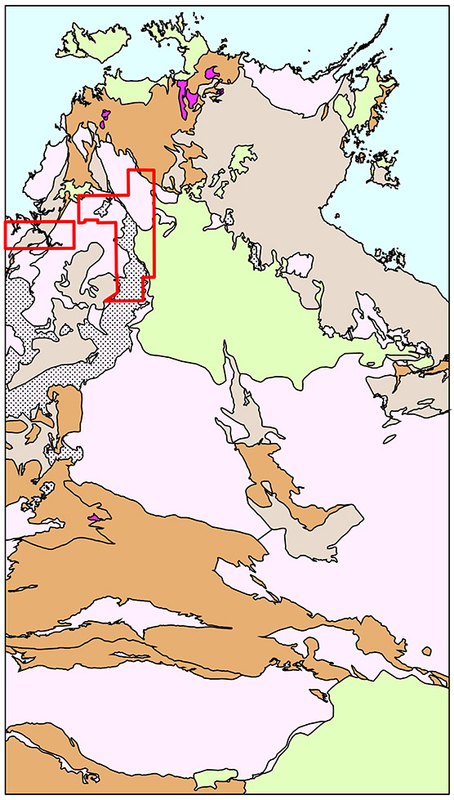 The Southern McArthur Basin Gravity Survey acquired gravity data over an area of approximately 75,000 square km, south of the Roper River, in the McArthur Basin, Northern Territory. The survey consists of 4614 stations at 4 km spacing funded under the Creating Opportunities for Resource Exploration (CORE) initiative. Industry collaboration funded the collection of another 1657 stations to infill two areas, totalling 8640 square km, to 2 km spacing. The Northern Territory Geological Survey has completed the Southern Wiso Basin Gravity survey in central Northern Territory. Over 3800 helicopter supported ground gravity stations were collected covering 60,000 km2 between Tennant Creek and the Tanami region at a station spacing of 4 km.